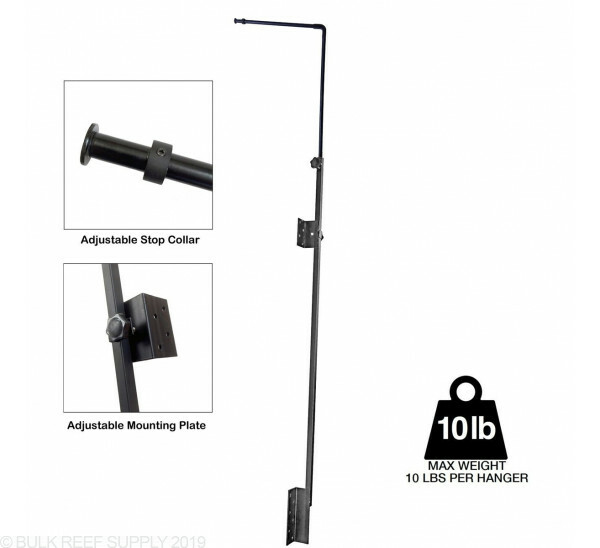 Aquatic Life's Universal & Hybrid Light Hanging System is perfect for light fixtures that do not have a tank mounting option or aquariums that cannot accept a tank mount. 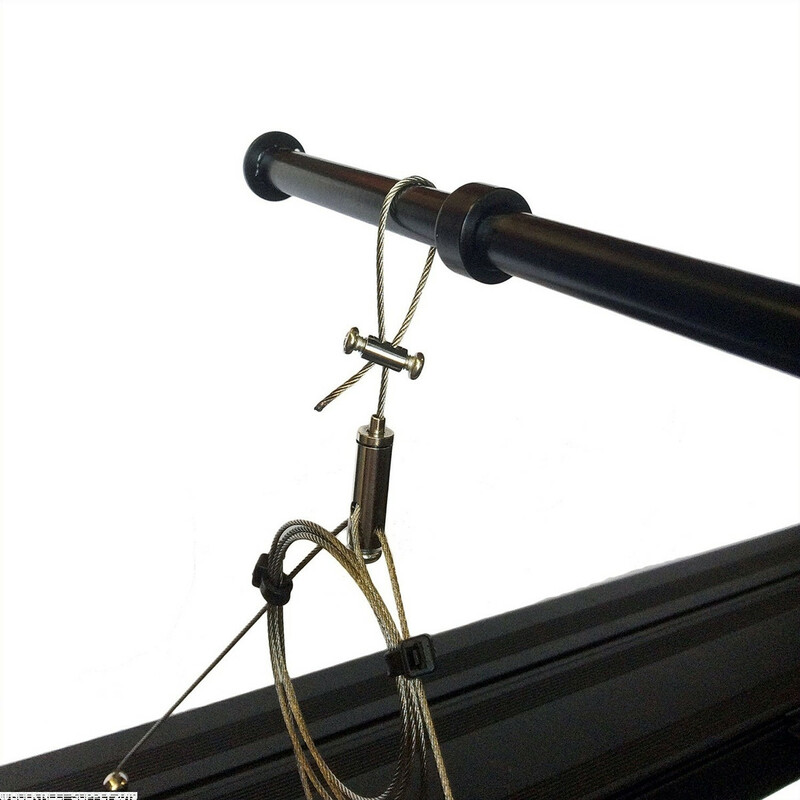 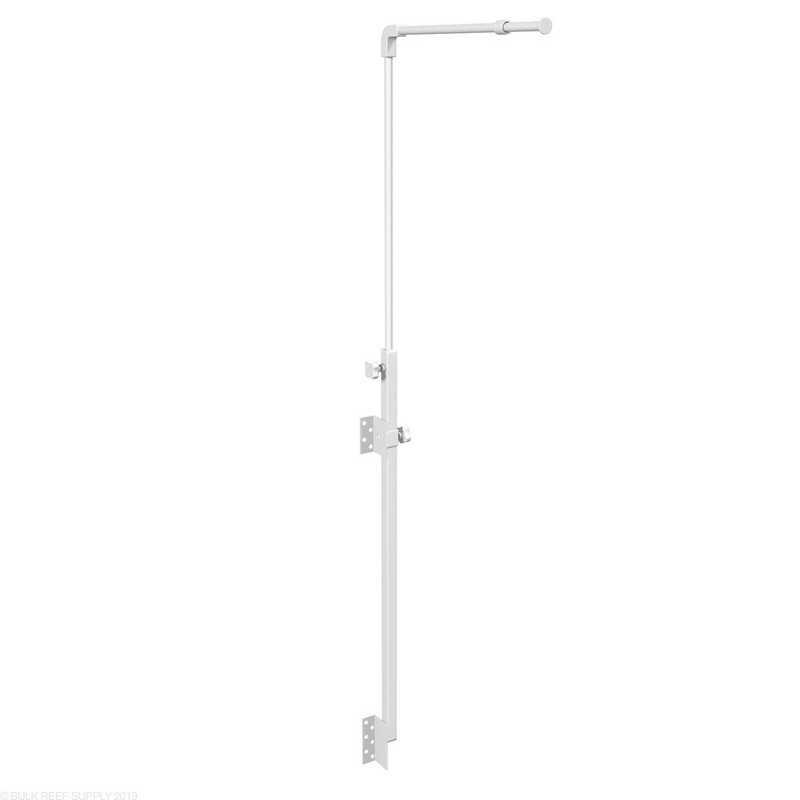 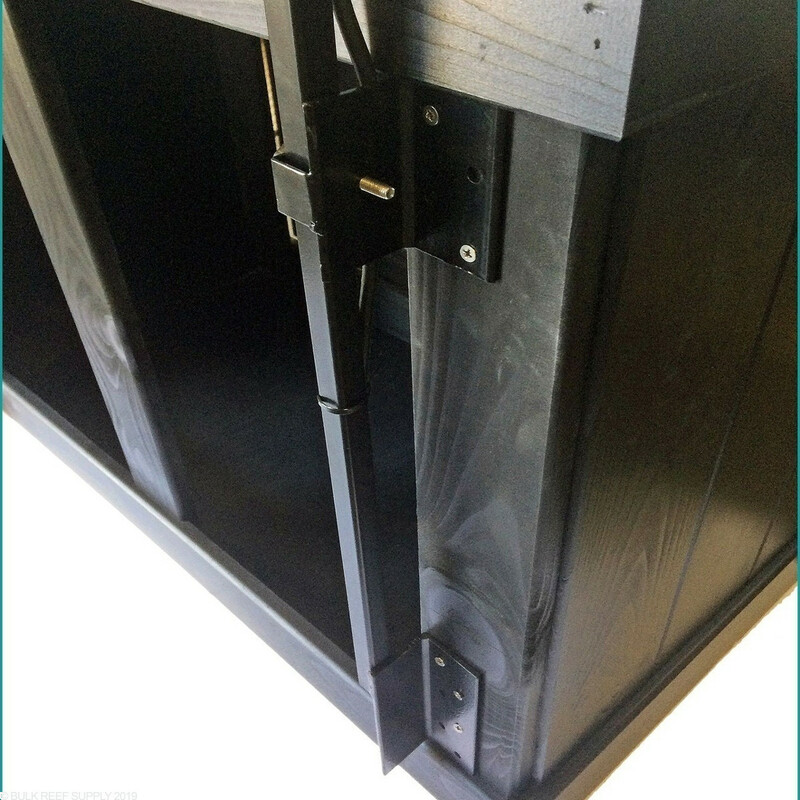 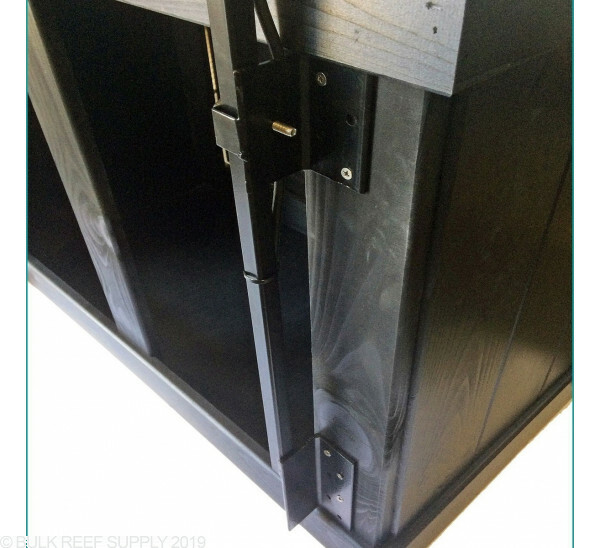 Securely attaching to the backside to most aquarium stands, each hanger can hold up to 10 pounds making it perfect for Aquatic Life Hybrid T5 Light Fixtures and other styles of lights that use a cable style hanging kit. 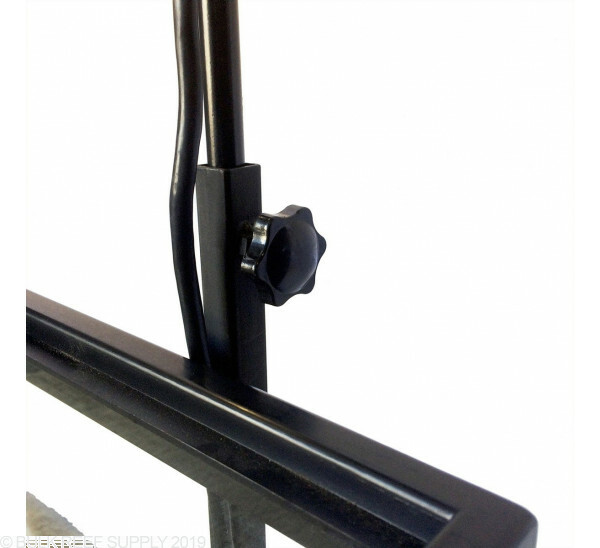 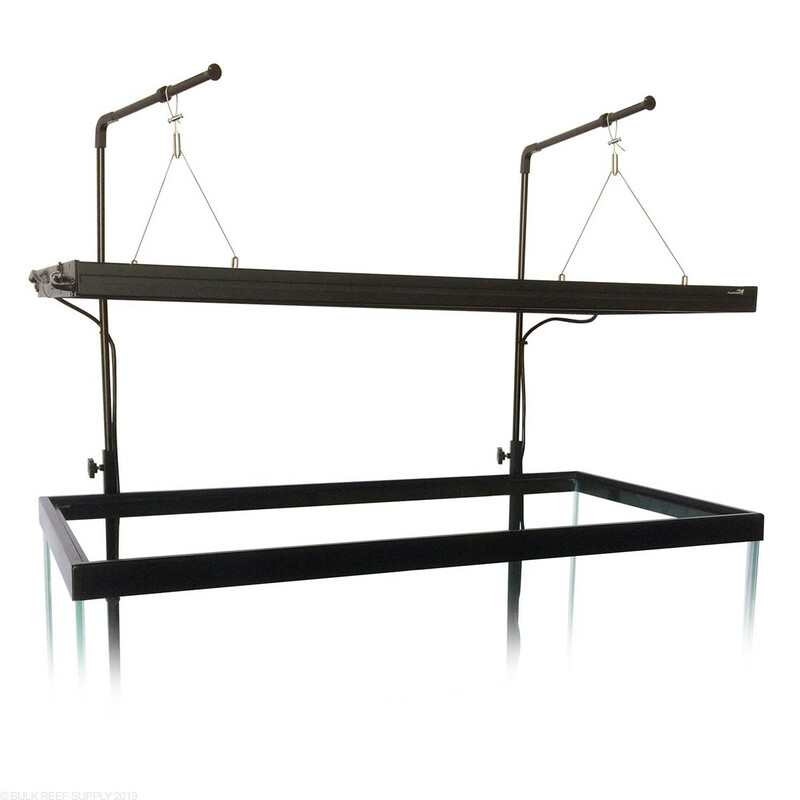 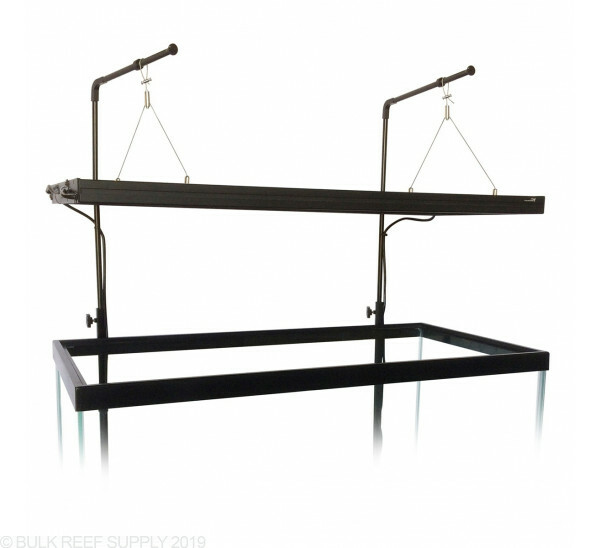 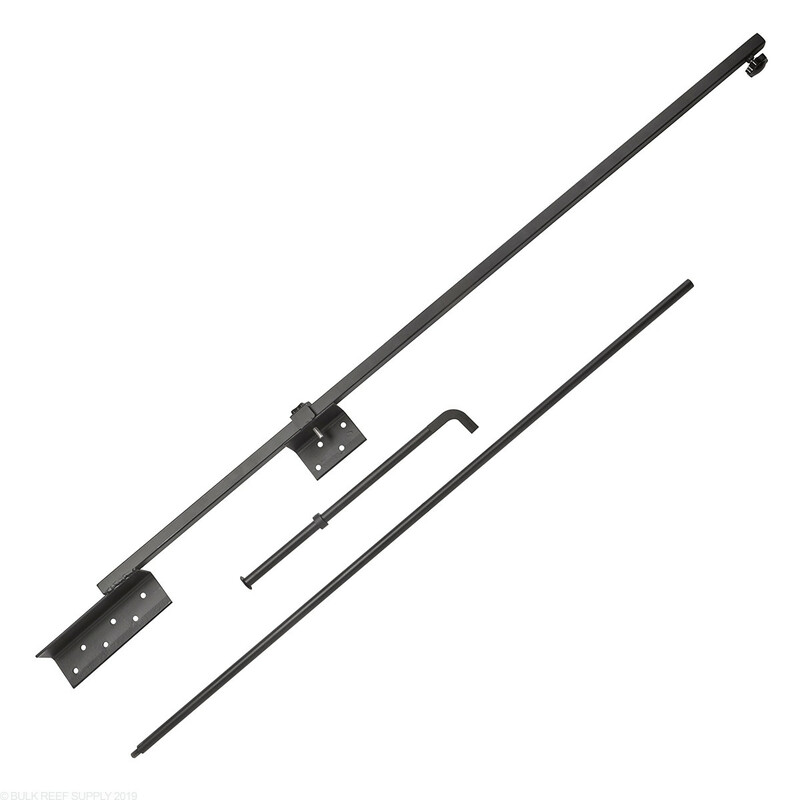 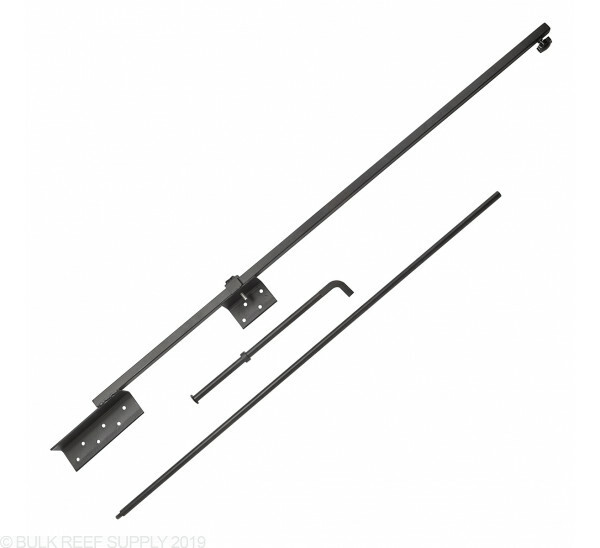 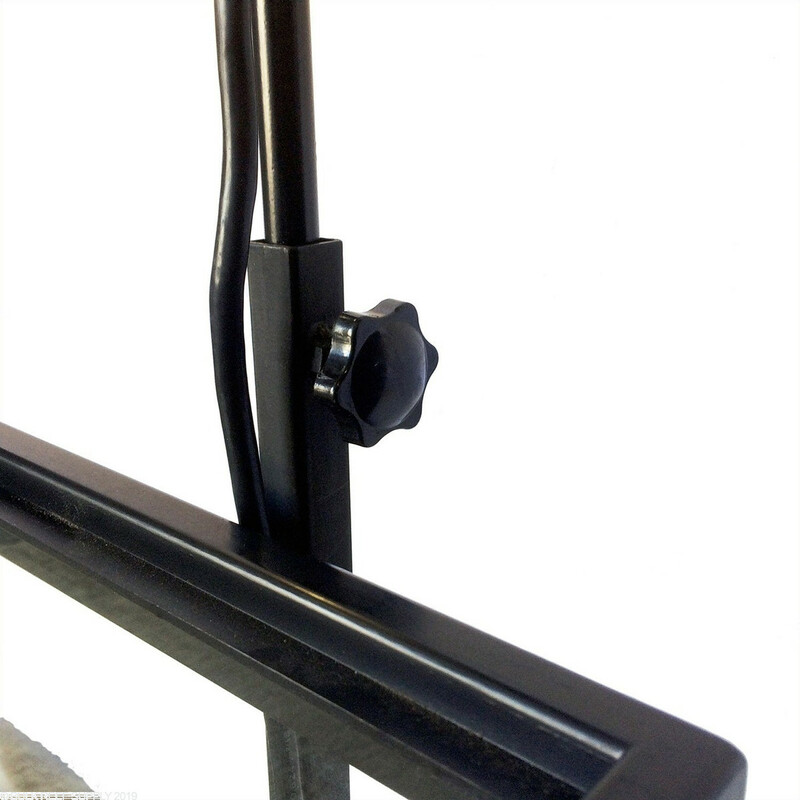 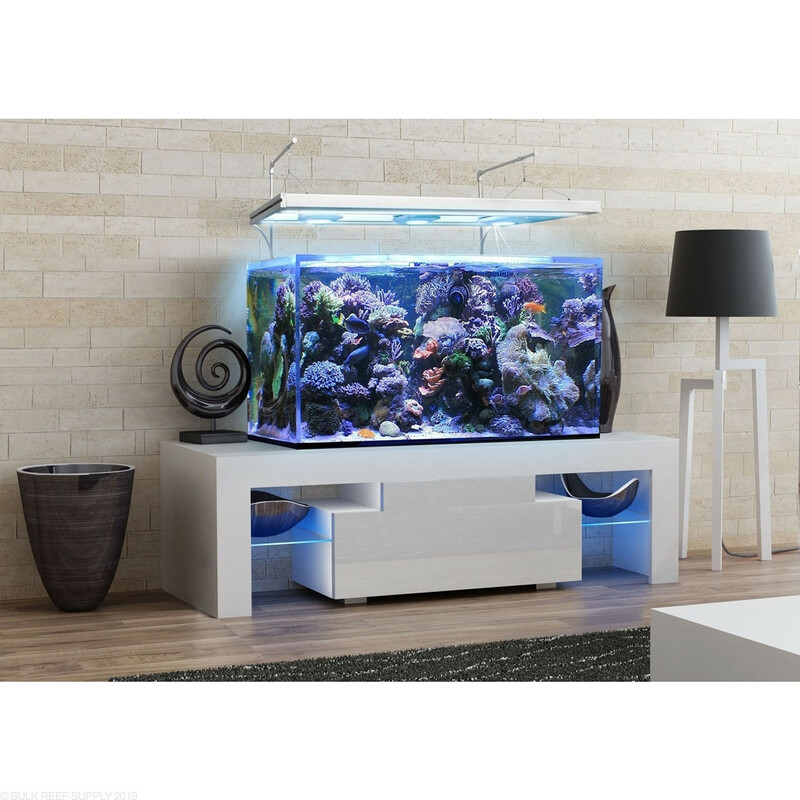 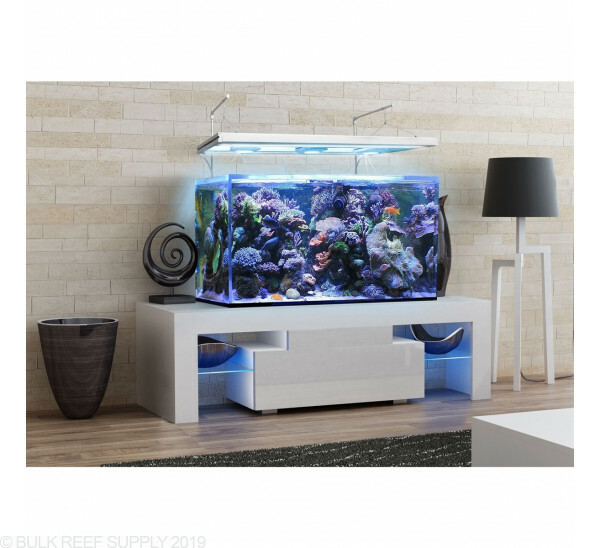 The overall height of the mounting system can be adjusted up to 44" tall, and the hanging arm can reach out to 13" making it ideal for aquariums up to 26" wide. 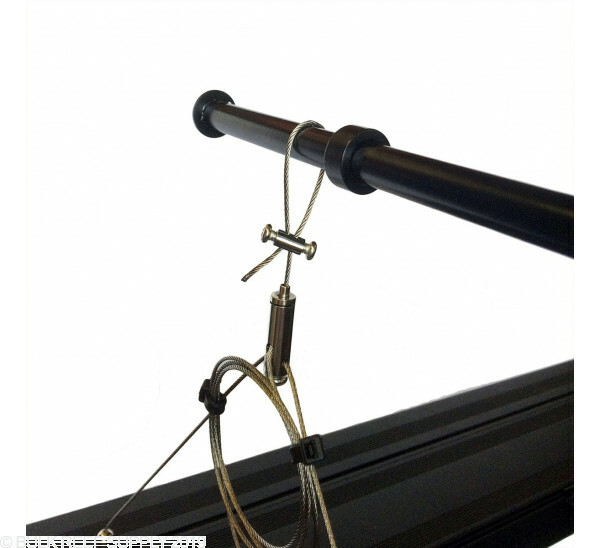 Compatible with most light fixtures that use a wire hanging kit to suspend the light. For light fixtures over 24" we suggest using two Aquatic Life Universal & Hybrid Light Hanging Fixtures for proper support. 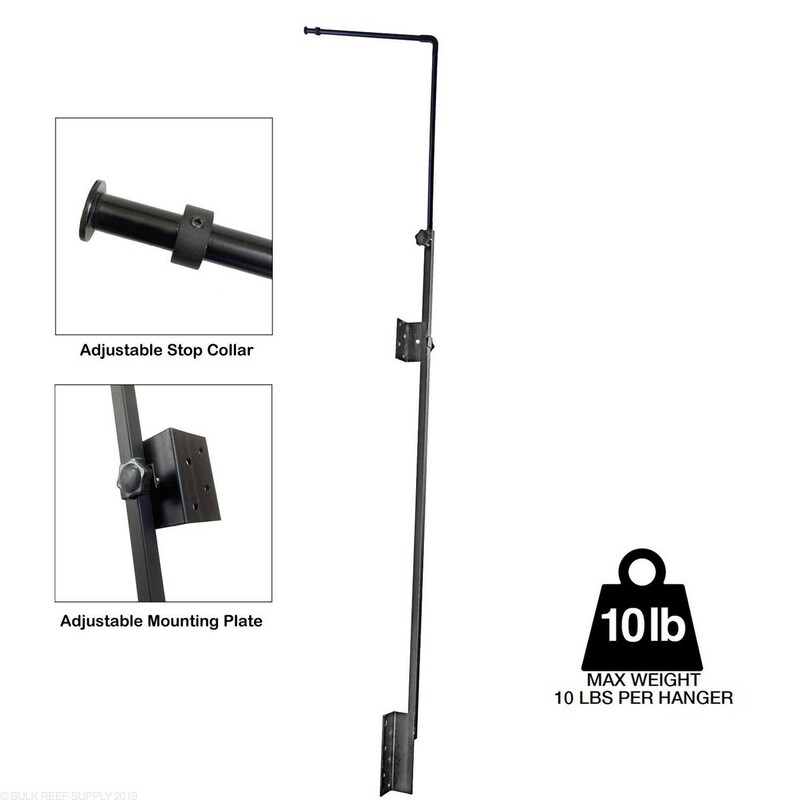 Max Vertical Height - 44"
Max Horizontal Reach - 13"